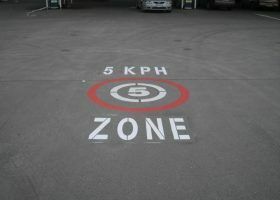 Suburban Line Marking offers a comprehensive selection of services for professional safety marking. 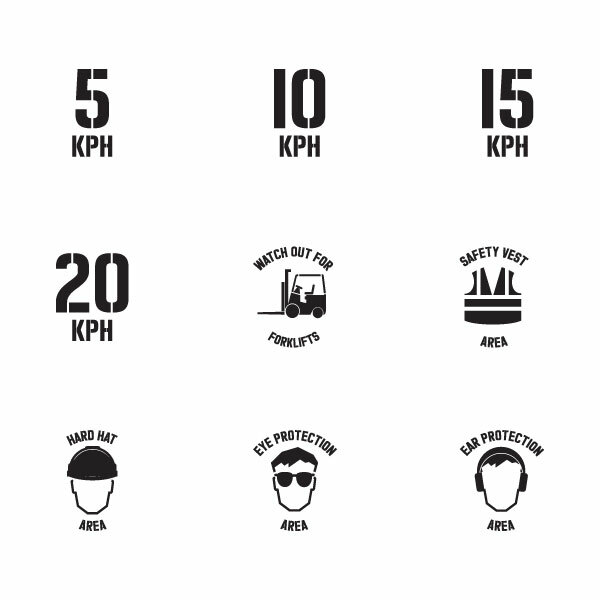 With the increasing requirements of occupational health and safety regulations in the workplace our safety stencils can be permanently marked to walls and floors to provide a constant reminder of the safety requirements of the surrounding environment. 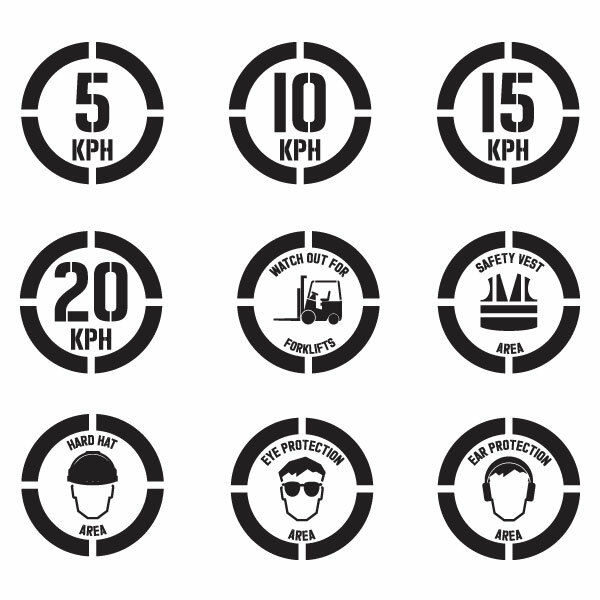 We have developed a variety of safety stencil options which are ideal for both industrial and commercialenvironments where it is essential to clearly identify safety requirements such as: speed limits, forklift zones, hard hat zones, safety vest zones etc. 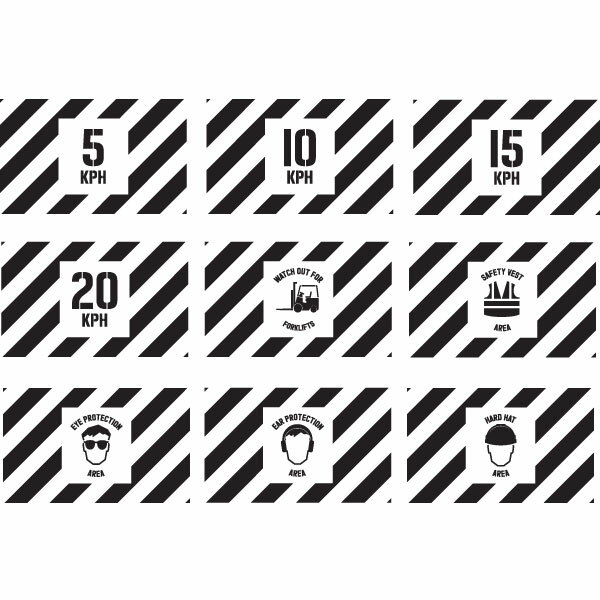 Each stencil can be customised to any colour and is available in four differing templates, allowing you to choose the design and options that work best for you. 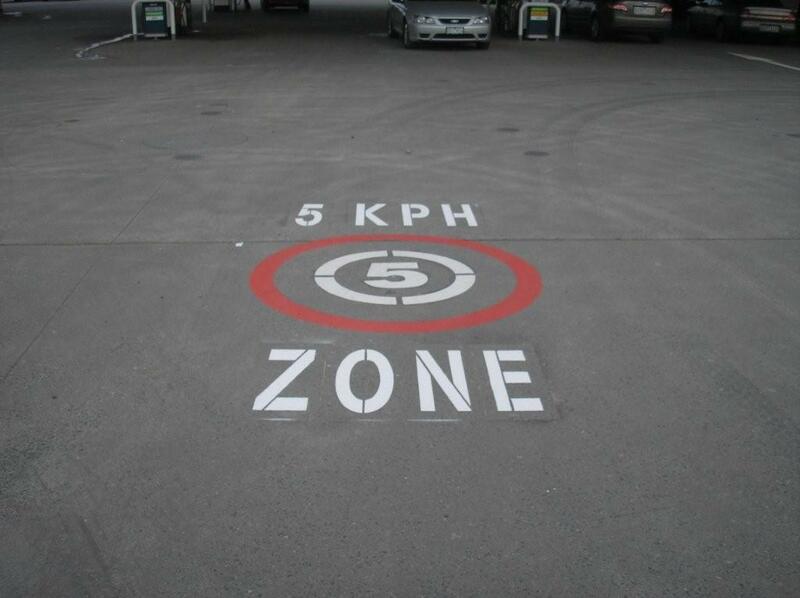 We are also able to design and develop custom stencils should it be required. 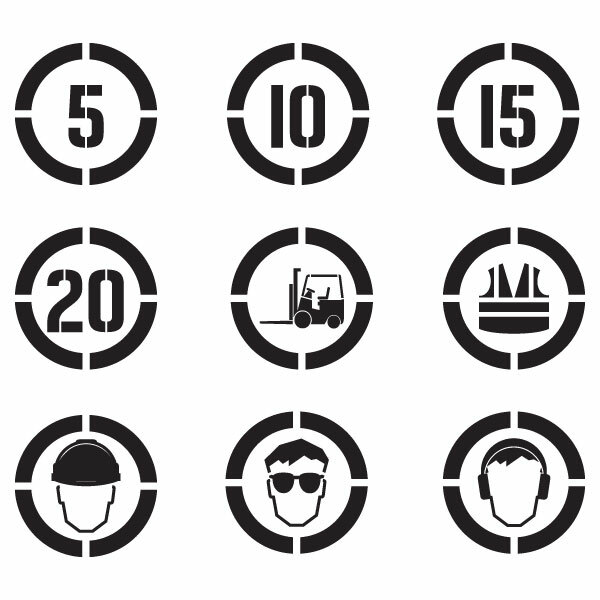 To view some of the stencils available in each option, simply click on the images below.